The California Assembly is expected to vote this summer to establish increased renewable energy targets and set a target of 100% clean energy by 2045. SB 100, Senator Kevin De Leon’s renewable energy bill, would increase California’s already ambitious renewable energy standards by 2030 with an ultimate goal of 100% clean energy by 2045. On July 3, the California Assembly Committee on Utilities and Energy passed the bill out of committee. In 2017, the bill was approved in the Senate but did not progress through the Assembly before the term ended. In 2018, SB 100 is expected to again reach the Assembly floor for consideration. As currently drafted, SB 100 would increase California’s Renewables Portfolio Standard (RPS) requirement from 50% to 60% by 2030, and set a goal of 100% clean energy by December 31, 2045 through RPS-eligible and zero-carbon resources. 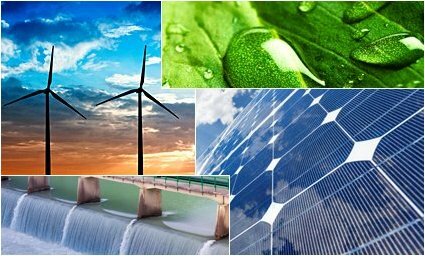 Clean energy could be defined more broadly than the current definition of renewable energy, to include energy resources such as large-scale hydro power that qualify as zero-carbon. 1. Increase the scheduled RPS obligations for retail sellers and publicly owned utilities (POUs) to 50% by 2026 and 60% by 2030. Specifically, procurement targets of electricity products from eligible renewable energy resources will increase to 44% by 2024, 52% by 2027, and 60% by 2030. Thereafter, three-year compliance periods will be set that require targets not less than 60%. 2. Establish a “100% policy” requiring 100% of retail sales of electricity to California end-use customers from a mix of both RPS-eligible and zero-carbon resources by December 31, 2045. SB 100 requires that the California Public Utilities Commission (CPUC), the California Energy Commission (CEC), the California Air Resources Board (CARB), and other state agencies incorporate the new 100% goal into all relevant planning. As drafted, SB 100 expressly prohibits meeting targets by “resource shuffling” or increasing carbon emissions elsewhere in the western grid. To enforce compliance, the bill provides that a schedule of penalties be adopted and imposed if retail sellers or POUs fail to comply with the new targets. The bill prohibits retail sellers or POUs from raising consumer rates in response to penalties. On June 27, 2018, three author’s amendments were added to SB 100. First, CARB would be required to remove “regulatory disincentives” that prevent retail sellers and POUs from transitioning buildings and ports from natural gas to electricity. The amendments also extended the deadline from 2019 to 2021 for CEC, CPUC, and CARB to consult with the California Independent System Operator and submit a joint report to the legislature regarding regulatory compliance. The agencies would then be required to submit reports every four years. Finally, the amendments reduced POUs’ obligation to procure renewable resources for the subsequent year if the POU receives more than 40% of its retail sales (reduced from 50%) from large hydroelectric generation. As proposed, SB 100 represents another possible step in California’s long history as a national and global leader on renewable energy and clean energy standards. If the bill passes this term and is signed by the Governor, the new standard could have substantial implications on long-term energy planning and energy development within the state. Latham will continue to monitor the progress of SB 100.